We know. We’ve heard you. Well, the wait is over. 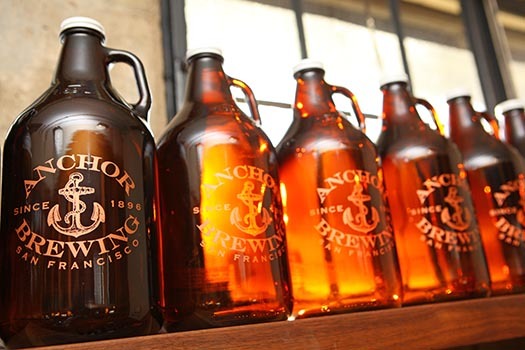 Growlers filled with your favorite Anchor brews are now available in the Anchor Brewing Taproom at our Potrero Hill brewery. But wait… there’s more. 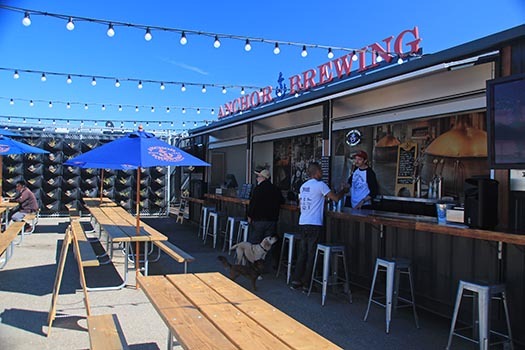 We’re also offering growler fills at the Anchor Beer Garden at The Yard, including limited-release beers and specialty brews available only at the Anchor Beer Garden. Note: Growler sales will cease two hours prior to Giants home games. 64 oz. growlers (empty) are $10 each. Pricing for growler fills (cost to fill empty growler) is below. 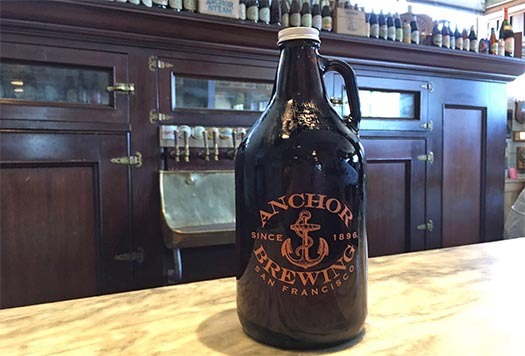 Go forth, craft beer lovers, and enjoy an Anchor growler. Cheers! 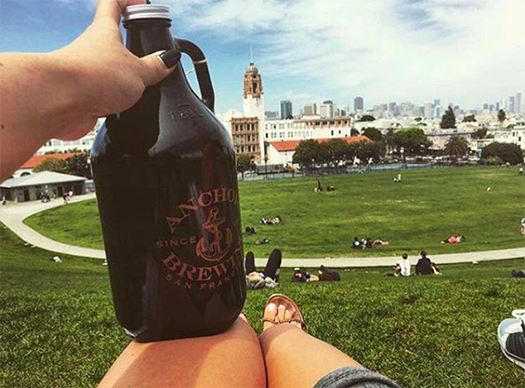 An Anchor Brewing growler in the wild. Photo: Sammy Kuykendall via Instagram.